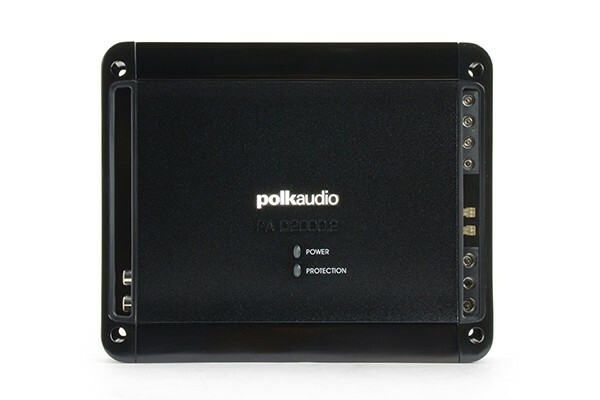 The PA D 2000.2 is capable of bridging a left and right terminal into a single full range channel with higher output power. For instance, the L-/R+ channels when wired correctly will increase the output power from 125W per channel to a 500W channel (for a 4 ohm load). 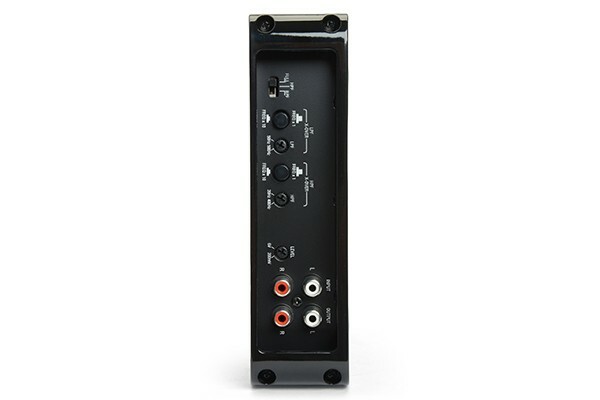 The most common hookups are two full-range channels or a bridged subwoofer channel. 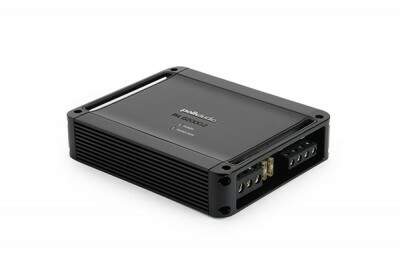 Super-efficient class D bridgeable design—runs cooler than conventional amps. Toroidal transformers—help keep the amplifier's sleek design under 2 tall while ensuring plenty of clean, efficient power. Protection—Thermal, DC offset, reverse DC voltage and short circuit protection. FULL, HPF, BPF switch—selects full range, high pass filter, or band-pass filter for dialing in your crossover for the ideal speaker blending. Adjustable low & high pass frequency range—enables you to fine tune the blending of your speakers in their frequency range overlap. Level control—adjusts the gain of the left and right channels to match the output voltage from your head unit. Line level inputs—accepts line level input from a head unit, preamplifier or, equalizer. Line level outputs—provides a full range signal for easy connection to additional amplifiers. Nickel-plated wire terminals & RCA connectors—ensure maximum signal transfer. Stainless steel hardware—used throughout and will not corrode in humid environments. Dimensions Cabinet Dimensions - Depth 6 3/4 (17.14cm) "
Dimensions Cabinet Dimensions - Height 1 13/16 (4.60cm) "
Dimensions Cabinet Dimensions - Width 8 1/4 (20.96cm) "
Dimensions With Panels - Depth 6 3/4 (17.14cm) "
Dimensions With Panels - Height 1 13/16 (4.60cm) "
Dimensions With Panels - Width 8 1/4 (20.96cm) "